Enhance the functionality of Reckon Cloud POS with compatible hardware that’s easy to use and set-up. 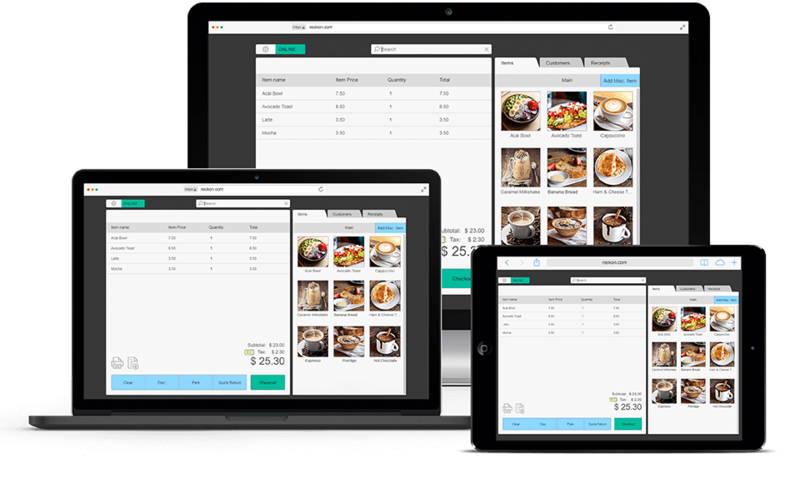 Reckon Cloud POS is accessed via a web browser, which means it runs on virtually any computer, laptop, ipad or tablet. We recommend you use Reckon Cloud POS with Google Chrome as the software is developed and optimised for use with this web browser. If you don’t have Chrome you can download it here. For iPads, you will need AirPrint enabled Receipt Printers to print receipts. We also recommend using Safari when printing receipts from an iPad. Reckon Cloud POS can also be connected with peripheral hardware such as receipt printers, scanners and cash drawers to enhance functionality. Below is a list of recommended hardware for Reckon Cloud POS.